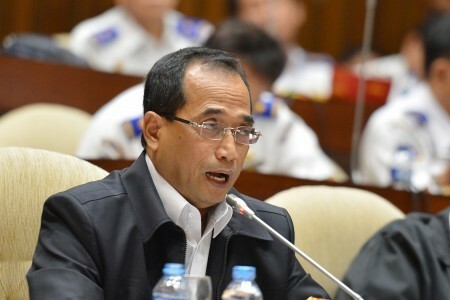 Transportation Minister Budi Karya Sumadi said in Jakarta on Thursday that the six projects comprised three for the light rapid transit (LRT), two for airports and one for a seaport. The LRT projects, he said, would be developed in Bandung, Surabaya and Medan. “The value of each project ranges from Rp 5 trillion (US$335 million) to Rp 10 trillion,” Budi said as reported by kontan.co.id. Two airport expansion projects – one for Kualanamu International Airport in Medan and one for an airport in Lombok, West Nusa Tenggara – required an investment of between Rp 3 trillion and Rp 6 trillion for each project, Budi added. Another project, the Kuala Tanjung Seaport in North Sumatra, needed a total investment of between Rp 3 trillion and Rp 5 trillion, he said, adding that the government had no preference on which investors to bring in. “We offer [the projects] to all participants. We will hold a presentation at the venue [for the event],” Budi said. He said the six were strategic projects and that Indonesia needed to cooperate with foreign companies to operate them once they are completed.